In addition to our management portal at https://hb.cdn.net, we also provide you full access to the OnApp control panel, which powers our CDN infrastructure. OnApp exposes significantly more customization options, and also includes full statistical information. Your OnApp control panel will have a different set of login information from your CDN.net management portal. You can find your OnApp login information inside of the management portal, by performing the following steps. Note: you will need an active CDN resource setup, before you will be able to receive your OnApp login credentials. If you need assistance setting up a CDN resource, please see our tutorial on setting up a new CDN resource. 1.) 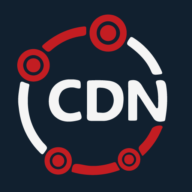 Login to the CDN.net portal at https://hb.cdn.net/. 2.) Click 'manage' on the CDN package. 3.) Choose your active service. In most circumstances, there will only be one listed. 4.) From here, click the OnApp Login link. You will be presented with your OnApp login details. 5.) With the presented login details, you will be able to login to the OnApp control panel. The OnApp control panel is kept in sync with our management portal, so you can create CDN resources in the panel of your choice. The true power of the OnApp control panel, is the added flexibility, giving you the ability to manage your SSL certificates, customize your CDN resources, and get full statistical information on your CDN resources.